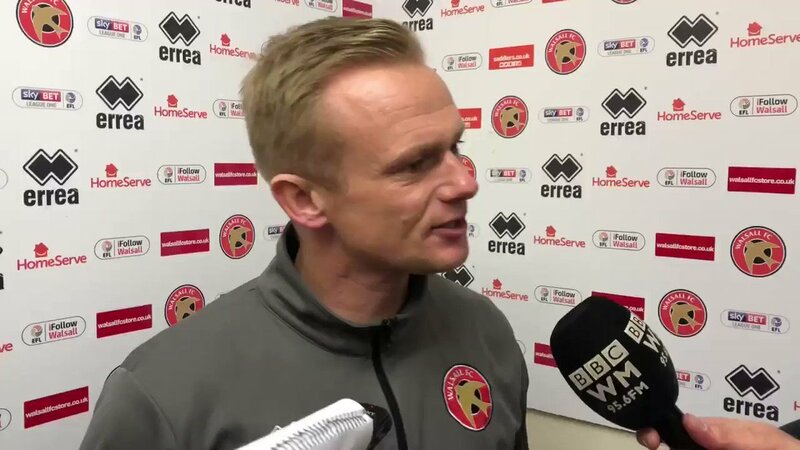 Walsall manager Dean Keates has spoken to the press following the Saddlers' last-gasp defeat to Barnsley and insisted that his side deserved to tke something out of the game as they were the better team for most of the match, and must learn to become more ruthless of they are to get out of the relegation zone before the end of the season. The result means the struggling Saddlers remain 21st in League One, just below Southend United, and have just seven games to get themselves out of trouble or face at least a season in the fourth tier of English football for the first time in over a decade. Dean said; "I’ve just said to the players in there that in the last few weeks we’ve put in half-performances, for 45 minutes, for 50 minutes - today, I think for 90 minutes we were by far the better team. "We created chances but that probably shows you where we are at the moment. A little bit of naivety, a little bit of not being ruthless enough when we’ve had the opportunities. If we had won 2-0 or 3-0 I don’t think anybody could have moaned at the score. "The game plan worked to a tee other than the result. We set traps and knew where we could counter them. They like to keep you penned in and put their game on to you and we flipped it – we put our game on to them and we were going for it. "It’s disappointing, it’s a massive, massive body blow but we have to dust ourselves down and regroup. We need to learn. We’ve got some massive games coming up and if we keep performing like that and giving full 90-minute performances, something will turn and go in our favour."